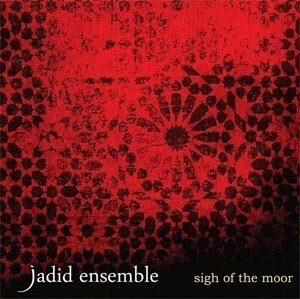 Formed by guitarist and composer Glenn Sharp, the Jadid Ensemble are a unique group of musicians based in Northwest England, who have a passion for the music of other nations and cultures. Their training in flamenco, Indian and Arabic musics has given them a wide range of influences on which to draw. 'Jadid ensemble' simply translates as 'the new ensemble', yet the word 'jadid' has been extensively applied to Arabic musics which break away from the historical traditions (or music of the 'qadim'). The classical and jazz backgrounds within the group allow for traditional melodic styles to be reworked into something fresh and new.